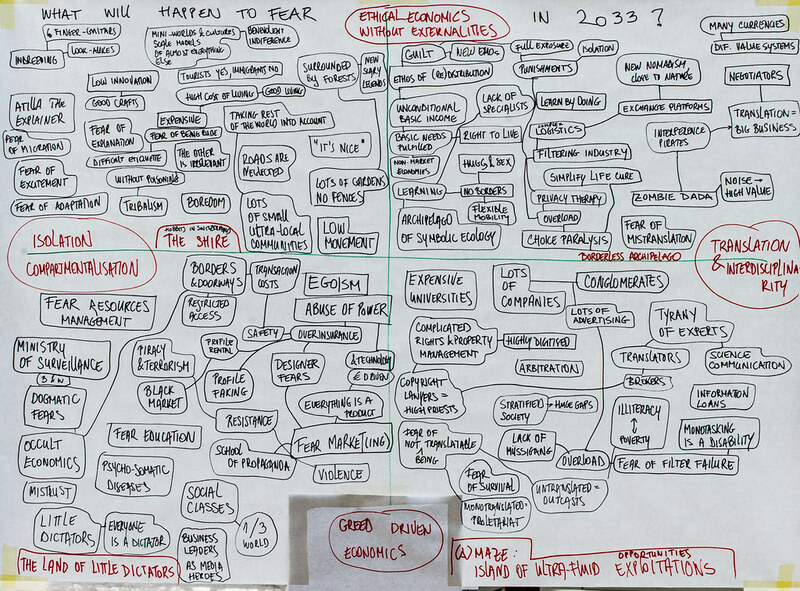 What will happen to fear in 2033? The aim of this session was to experiment with scenario building as a basis for creating back-stories or story-worlds for physical narratives and pre-enactments. The hypothesis was that this process allows a diverse group of people to create and agree on back-stories that are rooted in the present situation in a relatively short amount of time. The original plan was to do this over 2 days (day1: create skeleton scenarios, day 2: construct storyworlds), however due to time constraints of the people in the consortium, the session was shortened to one day. The focal issue (fear) was chosen by the organisers based on the topics emerging from the conversations during the kick-off meeting. Fear seemed appropriate as a topic that can be interpreted both on a personal and a global level - the gap that the Future Fabulators are aiming to fill. 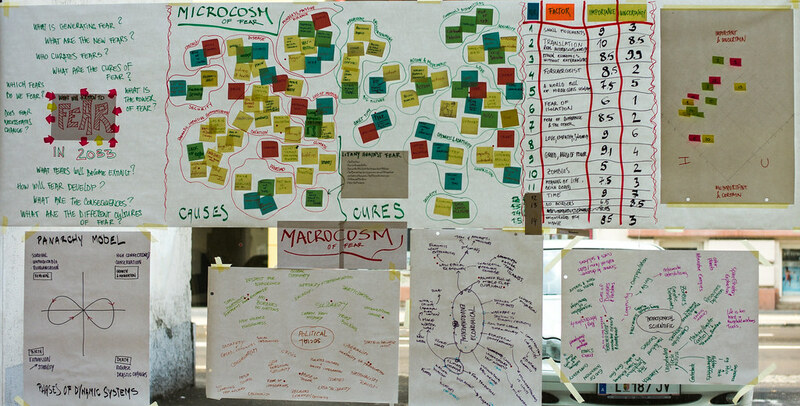 The morning focused on contextualising the micro- and macrocosms of fear, while the afternoon was dedicated to creating scenarios and sketches of story-worlds.